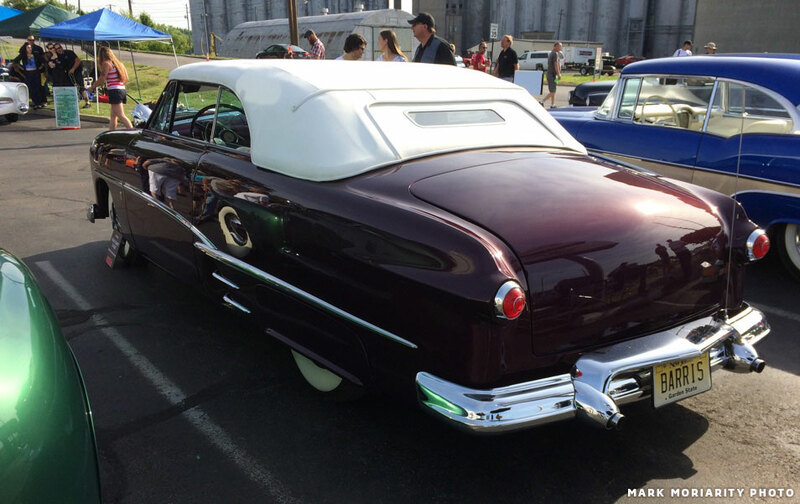 At the 2017 Custom Car Revival show in Indianapolis the long awaited Chuck DeWitt Convertible Ford Clone made its public debut. 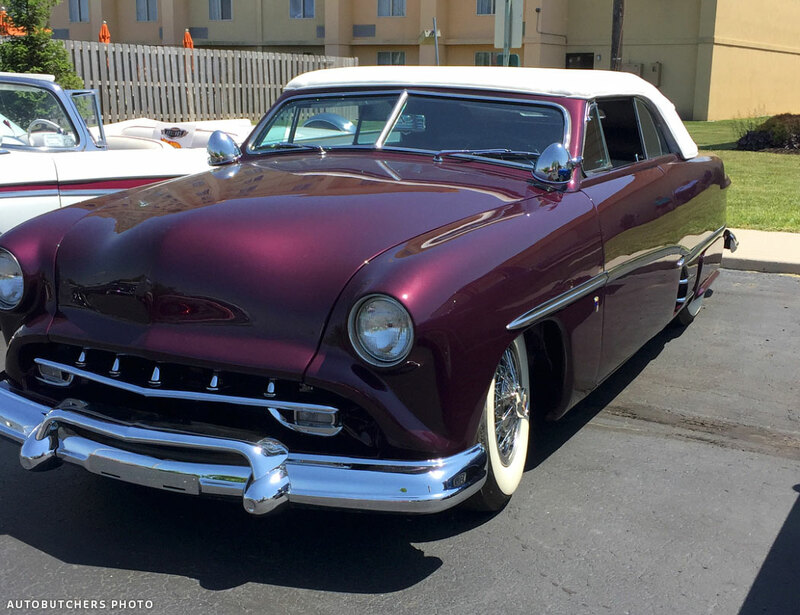 Its debut has been rumored for several years, and a few weeks ago Kevin Anderson, on of the organizers of the Custom Car Revival car show in Indianapolis, announced that the Chuck DeWitt 1950 Ford Convertible Custom Recreation would be at the 2017 show. 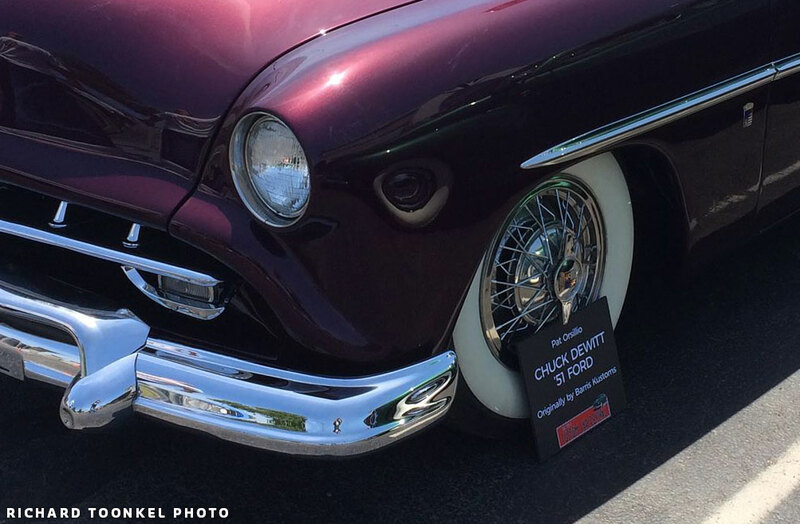 Earlier today Walter Leeman shared the first photos of the car he took at the event, or actually at the day before the event. And the rumors started to spread fast. 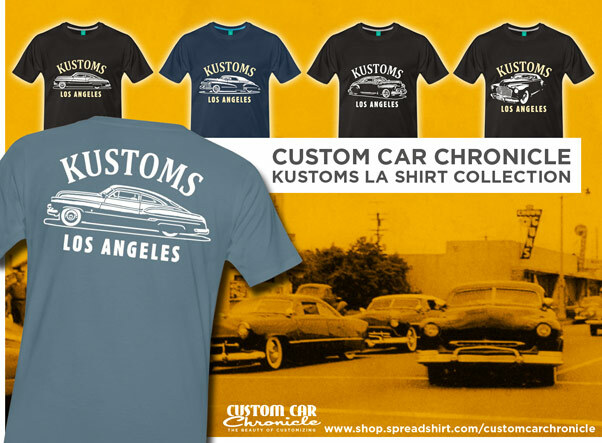 Some say the car is the original Barris Kustoms created Ford created for Chuck DeWitt in the early 1950’s. 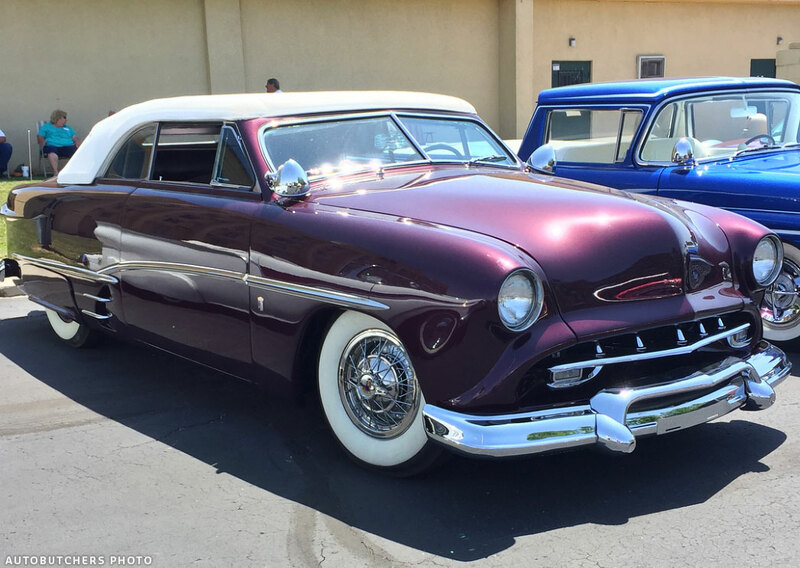 Other just know it is not and that the really beautiful car is actually a RECREATION, or as some call it a CLONE based on photos from the original Barris Custom. 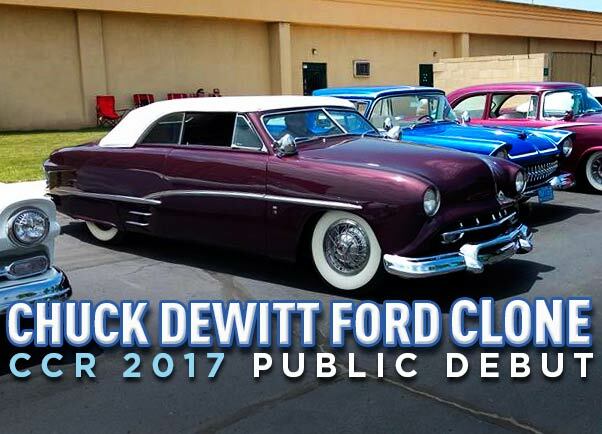 I’m very excited to finally be able to see outdoor photos of the Recreation of the Chuck DeWitt Ford, which is one of my personal favorite Barris Customs. I think the owner Pat Orsillio did a really great job on recreating this Custom Car Icon, and sharing it with the public for everybody to enjoy. 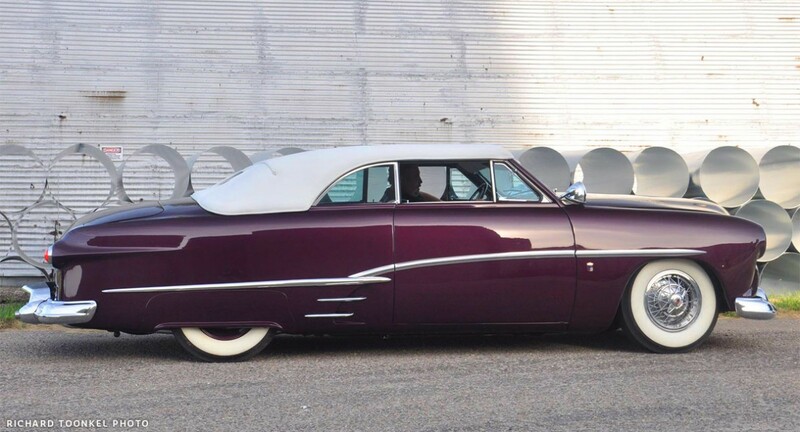 It would have been fantastic if this was indeed the original Barris Kustom, but the recreation is the second best thing. I personally am very happy that there are so many people into recreating the long lost Custom Car Icons in the last few decades. Some more info and photos can be seen in THIS article we did on the Chuck DeWitt Ford on a trip to Bonneville in the early 1950’s. 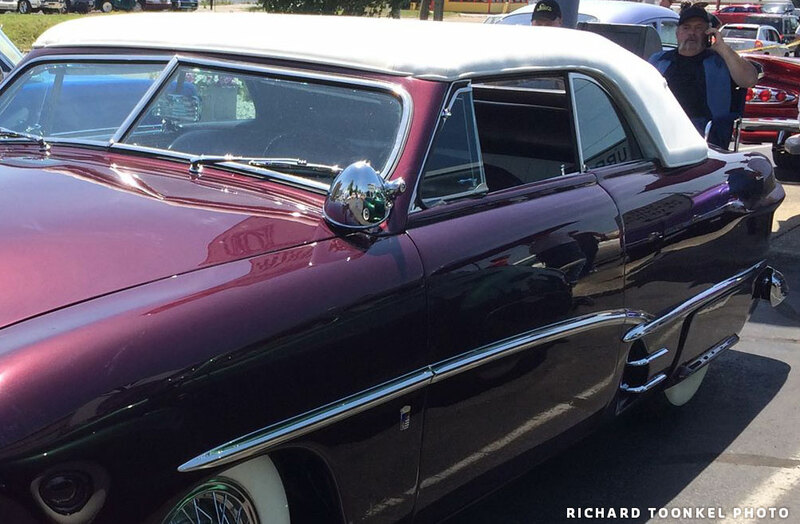 The Custom Car Photo Archive shows many more photos of the original Custom Car Icon. So far I have only been able to find two photos of the DeWitt Recreation, but as soon as I find more I will update this article. 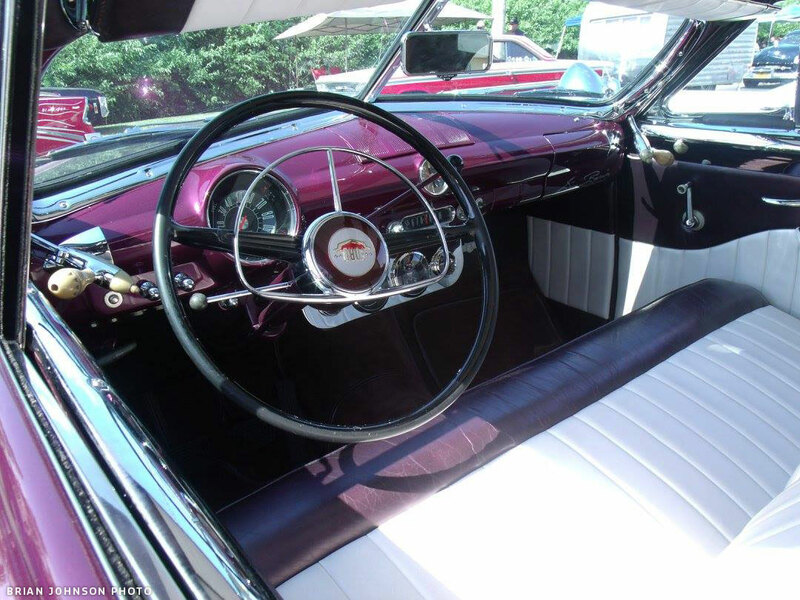 Barry Mazza took this photo many years ago of the Chuck DeWitt Convertible Recreation project. Front 3/4 view shows the custom made grille opening and grille. 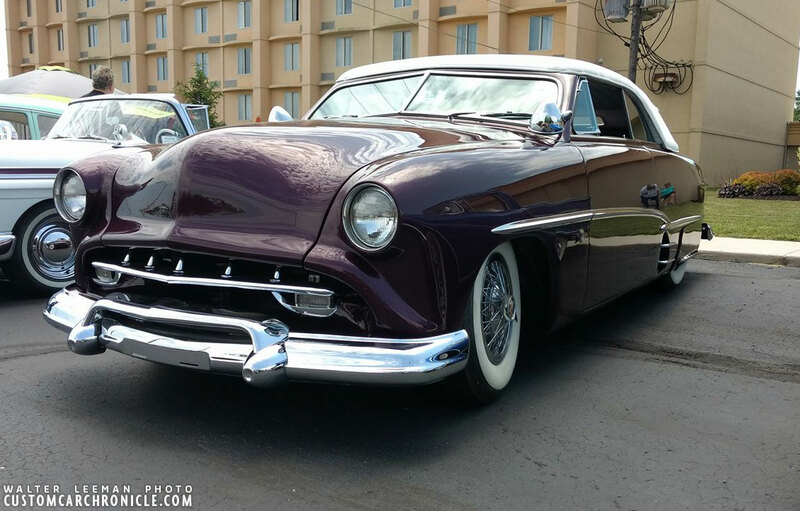 The grille itself was actually recreated by Barry Mazza some time ago for a different car, a Merc, and later found its way to the builder of the DeWitt Ford. Arriving at the Custom Car Revival, the first time out in the open at a public event for the car. 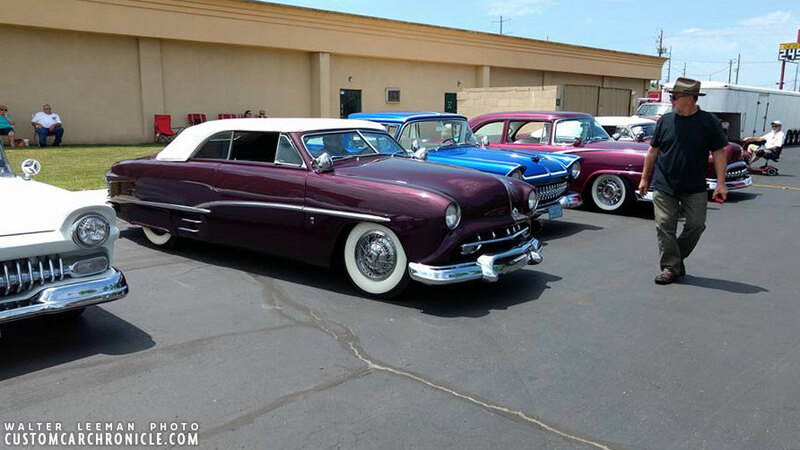 What an amazing Line-Up, takes you right back to around 1954. 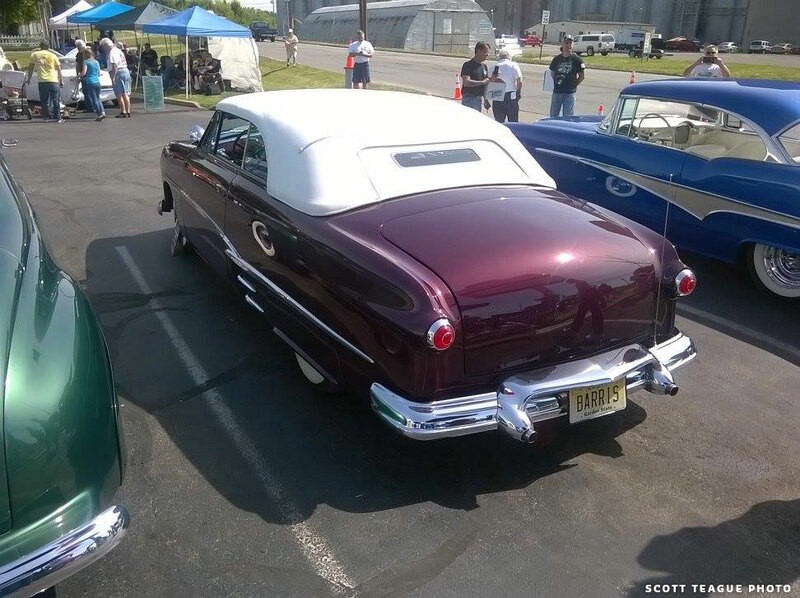 The Chuck DeWitt 1950 Ford Convertible recreation, with the restored Barris Kustoms restyled Snooky Janich 1954 Ford, and the Sam Barris 1950 Buick. 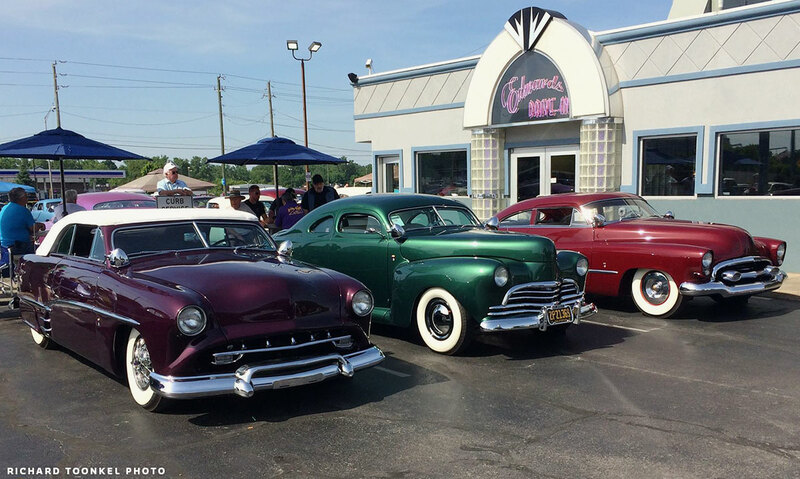 Comparing the Recreation with the Original Barris Kustoms created 1950 Ford. 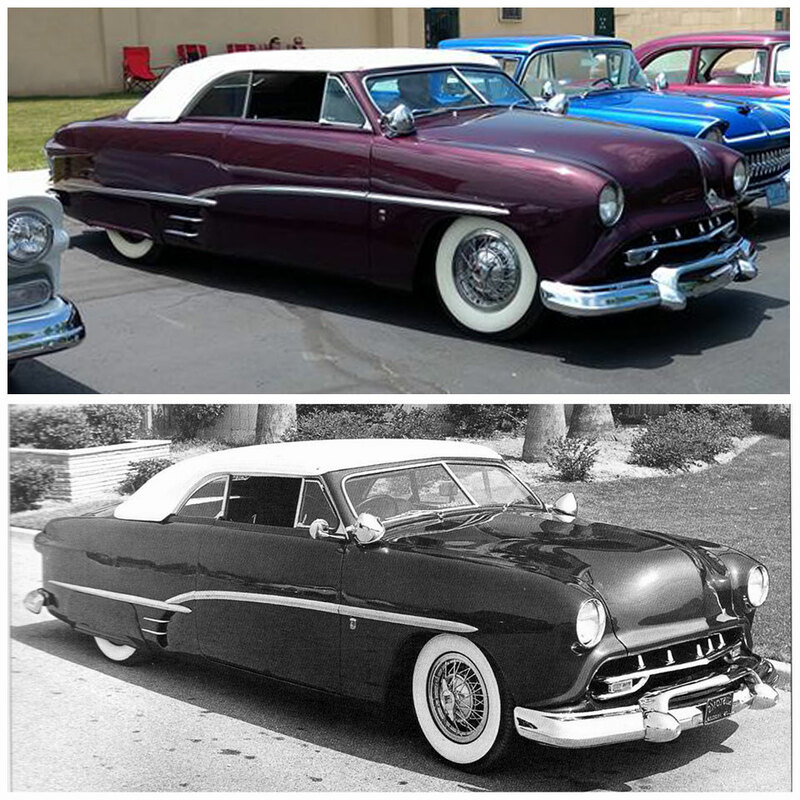 Since there sadly is some controversy about this car being a Clone or the Original Barris Custom it is a good idea to share the differences of the two cars based on old Barris photos and new photos taken by Walter Leeman. Thanks to Rob Radcliffe to the images. 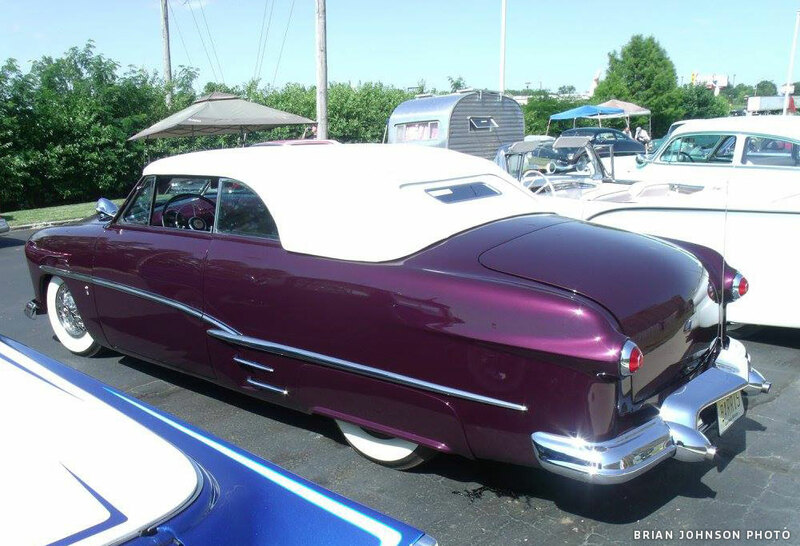 From this view we can clearly see the differences in the shape of the padded top, quarter windows. Position of the Appleton Spotlights, the location of the Barris crest, the position of the scoop teeth and vent windows. Hard to tell, but if you look careful you can see that the shape of the scoops in the rear quarter panels is different as well. 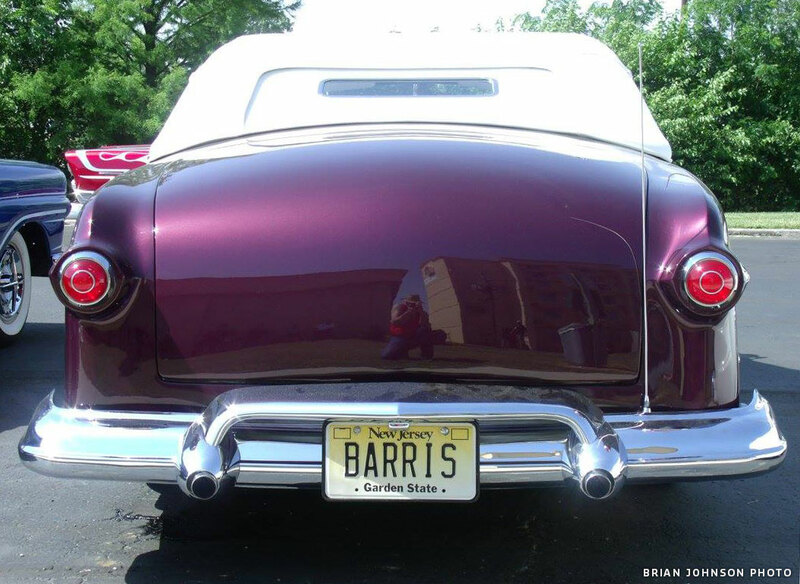 In this photo from the front of the car we can see the differences in the grille opening, the sides of the molded in tubular shape is much more upright on the Barris creation. 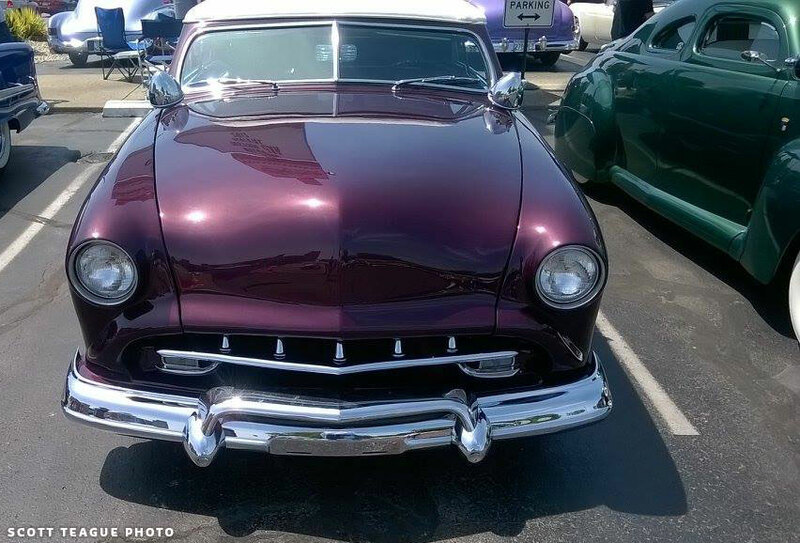 The grille is different as well since Barry, who created the grille actually for somebody else to be fitted to his Mercury, had to use different parking lights, The originals use Studebaker units, which have rounded corners on the outside. 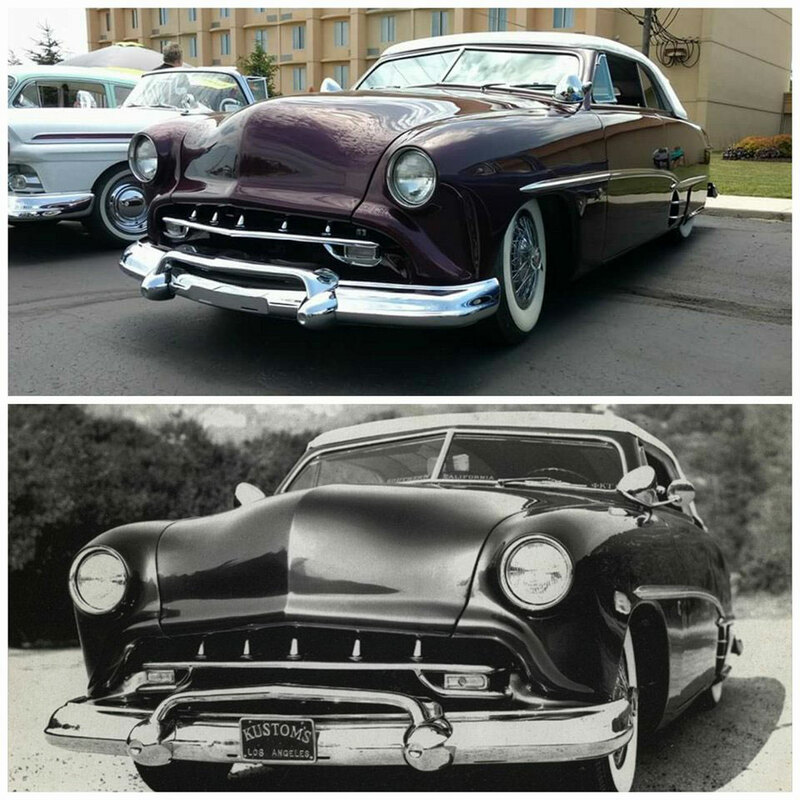 These photos also show the difference in scoop shape, and location of the scoop trim, and position of the Appleton Spotlights, and Barris crest compared to the side trim. The DeWitt car is one of my all-time favorites! What a treat for those at the gathering. And all on the CCC. Thanks, Rob, for digging out those original images. Would Barry and Walter share more of the history of this build? Another scoop in investigative reporting from our intrepid Rik Hoving. 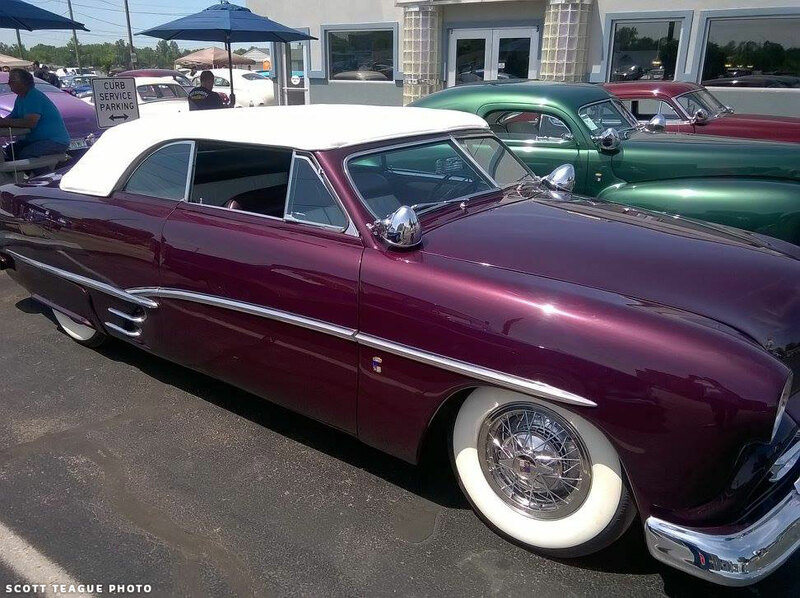 The Chuck DeWitt convertible is also one of my favorite Barris customs. 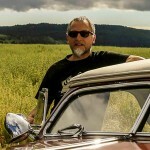 I liked the old pictures from the small pages magazine when he drove it on a long trip.. I agree with Rik that it is great to see people tackle the painstaking job of recreating something that is long gone.It is really hard to get a perfect recreation based on photos alone but this one does well. 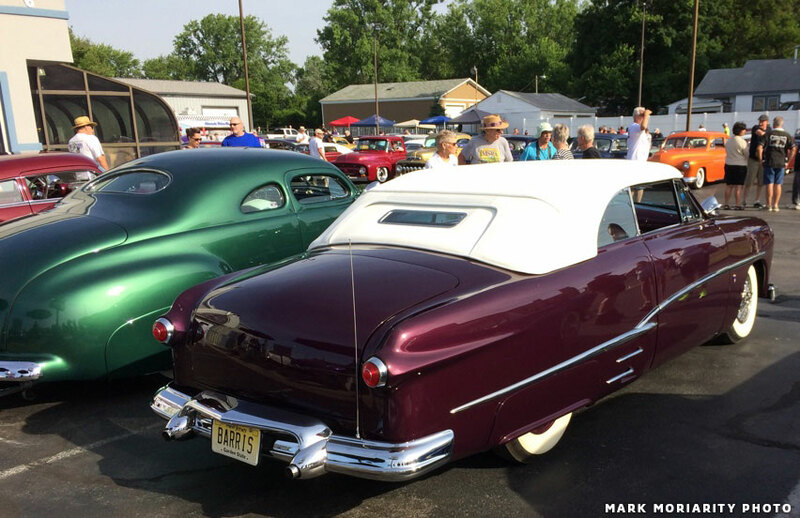 My favorite picture so far was the one on FB showing this one sitting in line with the Sam Barris Buick and the restored Snooky custom. Looks like another great CCR show this year. Nice to see this one out there finally. I was at the show and the recreation is a sight to be seen in person. It was always one of my favorites too. 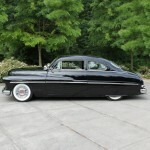 Absolutely beautiful work recreating one of the best kustoms ever built by Barris. The original car had much more detail than meets the eye, so recreating it had to have been a major undertaking. The parts alone to recreate it would have been a lot of work to collect! 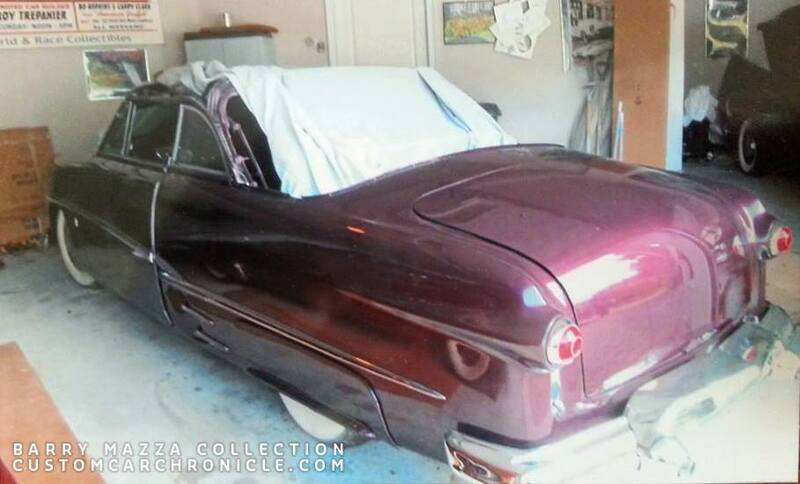 It is fantastic to see the clone out in the open now as it has been a huge inspiration for a lot of kustom fans…it was the car that I copied my tail lights from (thanks to Octavio Chavez’ suggestion)…and now Eric henderson has run them on his bitchin chopped shoebox convertible. Thanks for the article, Rik! After seeing it in person at the Custom Car Revival, I appreciate the beautiful Custom even more. Thanks Rik. I’d like to add my thanks to all those who tackle the recreation of these historical customs. Locating the detail parts (and many of the major ones!) would be a massive challenge nowadays. I too, saw Pat Orsillio’s “clone” up close and it’s stunning! For a fellow from the prairies in the “great white north” to be able to witness these cars from my little pages days is wonderful; and for folks like Pat to bring back to life ones that I would not have the opportunity to see otherwise is truly a bonus. Thanks!